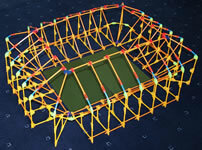 If you've been watching recent sporting events such as the Euro 2016 football championship, you have probably been impressed by the different sports stadiums that you saw. 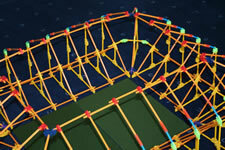 Now you can build your own K'NEX sports stadium, which stands an impressive 1 metre long, 86cm wide and 34cm high (41" x 33" x 13"). 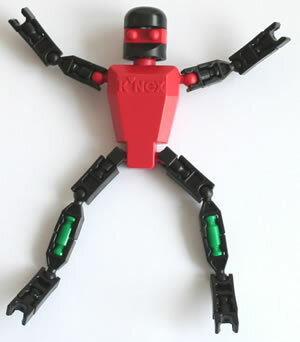 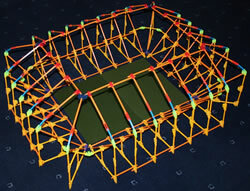 The model is supplied as a kit of parts in plastic bags, with online assembly instructions based on photos. 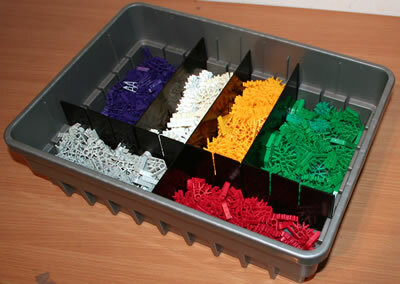 This approach ensures that the kit cost can be kept as low as possible. 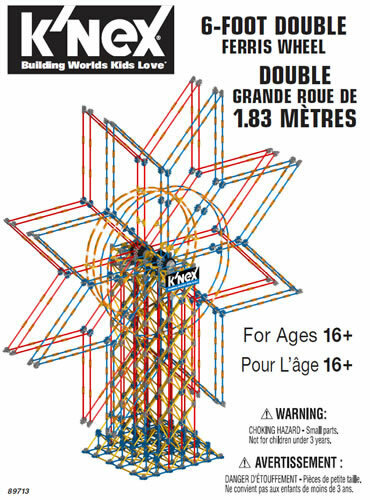 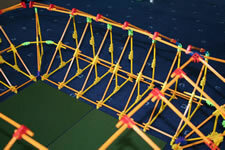 Younger children may need help building this large K'NEX model. 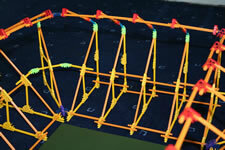 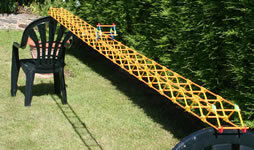 The set also provides an excellent mix of parts for building other big structural K'NEX models, such as the 3.5 metre bridge and 3.4m tower shown below.